Felix Tshisekedi has vowed to be the president “of all Congolese” after the Democratic Republic of Congo‘s (DRC) electoral commission declared him the winner of the country’s long-delayed elections. 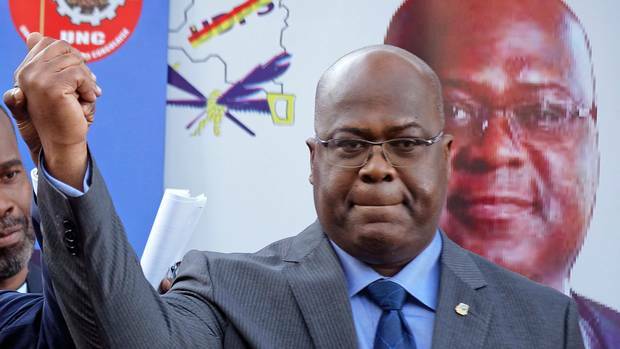 Tshisekedi received more than seven million votes compared with about 6.4 million for Fayulu, who had warned against manipulation. Emmanuel Ramazani Shadary, the hand-picked candidate of long-time President Joseph Kabila was third with about 4.4 million votes. Barnabe Kikaya Bin Karubi, one of Kabila’s top advisors, accepted the loss of the ruling party’s preferred candidate. The announcement came hours after the riot police were deployed at the commission’s headquarters in Kinshasa amid fears of violence due to a disputed result. The result could lead to the vast country’s first democratic transfer of power since independence from Belgium in 1960, with Kabila due to leave office this month after 18 years in power – and two years after the official end of his mandate. The Catholic Church said on Thursday the poll results announced by the electoral commission did not match its vote tally. Losing candidates can contest the results before the country’s constitutional court in the coming days. The swearing-in of the new president is planned for January 18. Some observers have suggested that Kabila’s government sought to make a deal as hopes faded for a win for Shadary. The result is expected to cause further suspicion that Tshisekedi struck a power-sharing pact with Kabila. Tshisekedi’s camp has acknowledged contacts since the vote with Kabila’s representatives but denies there has been any kind of deal. Speaking to thousands of cheering supporters in Kinshasa, Tshisekedi paid his respects to Kabila, whom he described as “an important political partner”. “He said he is willing to be a president for all the people of Congo and thanked Fayulu and Shadary, saying he is willing to work with them to build a better Congo,” Al Jazeera’s Haru Mutasa, reporting from Kinshasa, said. But Fayulu dismissed the results announced by the electoral commission as “a true electoral coup”. “The results have nothing to do with the truth of the ballot box,” he said in an interview with Radio France Internationale, calling on observers to publish the real results. He has promised a return to the rule of law, to fight the “gangrene” of corruption and to bring peace to the conflict-wracked east of the resource-rich country. More than one million people were kept from voting on election day because of an Ebolaoutbreak and militia violence in opposition strongholds, mainly in DRC’s east.